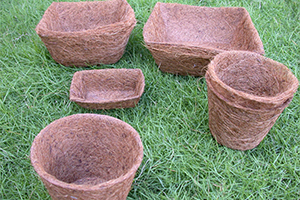 Products made out of Coir fibre. 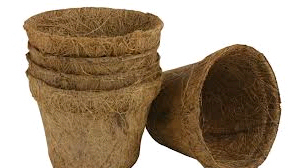 From poles to plant pots to hanging baskets, coir makes just about every accessory that is essential for modern day gardening. 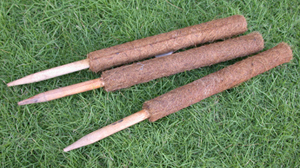 Coconut husk chips also are widely used in horticultural applications.